Hell Below 2 continues to chart the stealth game of subsea warfare: from the Allies’ strikes against Axis might to the cat and mouse games between the Superpowers, through the greatest submarine patrols of WWII and the Cold War. Hell Below 2 is an event-based series charting the stealth game of subsea warfare. Tracking the dramatic narrative from contact to climax of the greatest submarine patrols of World War II and the Cold War. From the Allies’ strikes against Axis might to cat and mouse games between the US and Soviet Union, we tell the stories of the sailors themselves along with the big picture strategies they’re caught up in. Pushed forward by the rapid evolution of technology and tactics. In the Second World War, both the Axis and Allies employ unrestricted submarine warfare to bring their enemies to their knees. With a keen understanding of geography and trade, they target commercial shipping routes, trade centers and choke points to starve their enemies men and material required to fight wars. In the Cold War, stealth trumps economic warfare. The Nuclear threat is very real: and monitoring what the other side is doing is paramount. Here, the US and Soviet Union use the stealth of the submarine to its fullest advantage. Sending their subs into enemy territory – sometimes in conditions the submarines were never meant for – to spy and bring back information. Or to conduct secret missions in an effort to change the global balance of power, right on the enemy’s doorstep. But the exhaustion, equipment failure, faulty weapons and lack of supplies while in enemy territory remains a concern for submarine crews. Each patrol tests every sailor’s ingenuity, courage and skill. In our second season, we tell the stories of the most incredible submarine patrols of the Second World War and the Cold War. From a tiny island base working to defy Rommel; to one of Germany’s last U-Boat Aces facing an American Hunter Killer Group; World War II’s only known underwater submarine battle; to the days of the Cuban Missile Crisis when the fate of the world played out in the hot, unbearable Control Room of a Soviet submarine. 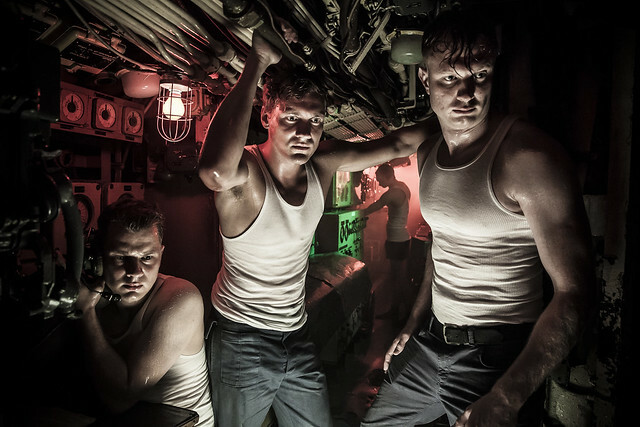 With re-enactments filmed on actual Second World War and Cold War era submarines, we recreate the claustrophobia and tension that the real sailors experienced. In Season Two, we revisit the war beneath the waves. We return to the Hell Below.